Another royal wedding is well on its way and America’s very own dad just gave it the ultimate seal of approval. Just hours after Prince Harry and Meghan Markle announced their engagement, along with their plans to marry in the spring, former president Barack Obama has tweeted out his congratulations to the happy couple. "Michelle and I are delighted to congratulate Prince Harry and Meghan Markle on their engagement," the former president wrote. "We wish you a lifetime of joy and happiness together." After weeks of speculation, Harry and Meghan confirmed their engagement to the public via Clarence House, the estate of Prince Charles and the Duchess of Cornwall. The announcement added that the royal wedding will take place sometime next spring — so pretty soon. In a sit-down interview with the BBC, the duo revealed that Queen Elizabeth II, Harry’s grandmother — and her beloved Corgis — are fond of the Suits actress. And because this is a royal engagement we’re talking about, a potential A-list guest list for Meghan and Harry’s nuptials is already being projected. While the Obamas weren’t invited to William’s wedding to Kate Middleton in 2011 — due to the high security detail for a sitting president — it’s being widely speculated that the two will make the guest list for Harry and Meghan’s wedding. The former POTUS and first lady’s friendship with Harry and his older brother Prince William has been well-documented over the past decade. Since Obama left office in January, he’s been spotted with Harry on numerous occasions, including the Invictus Games in Toronto in September — where he reportedly asked Harry about Meghan — and when the prince received the former president at Kensington Palace in May. Additionally, Harry joined former first lady Michelle Obama at an event before the Obama Foundation Summit in October. 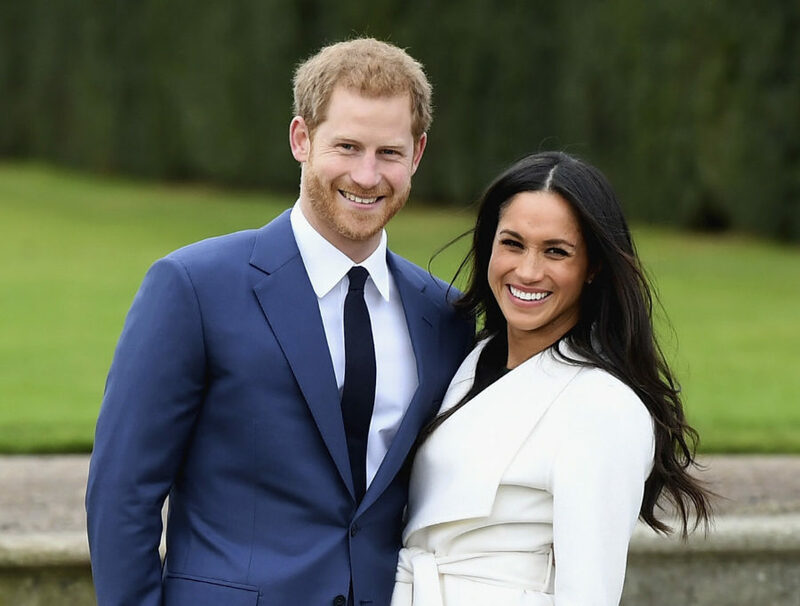 In the wedding announcement, Clarence House revealed that wedding plans would be announced “in due course,” which we’re taking to mean “we’ll tell you if the Obamas are coming to the wedding in due course.” But we’re keeping our fingers crossed that it’s a YES. And we don’t mean to put pressure on Harry to make Obama a groomsman but…that kind of sounds like the best idea ever.